Enemy - Blu-ray Review - ReDVDit! Enemy was Director Denis Villeneuve’s third major feature film, and came short on the heels of one of my favorite, most underrated movies of all-time, Prisoners, also directed by Villeneuve. After well received hits like Sicario, Arrival, and his first feature, the Oscar nominated Incendies, Villeneuve has firmly placed himself into the pantheon of up and coming directors. With his new Blade Runner 2049 sequel on the way, he is certainly one to watch. Enemy was the only of Villeneuve’s films that I had not yet seen, and I am glad I didn’t wait another minute. It is hard to talk too much about the film without giving away too much of the plot, but the basic premise of Enemy revolves around History professor Adam. Adam watches a movie one day, and finds his exact doppelganger in the background of a scene. This revelation throws him down a winding path in the search for this man, and to try and discover the mystery behind their exact likeness. Eventually, Adam meets Anthony, the doppelganger, and their lives begin to take extremely odd and unnerving twists and turns. 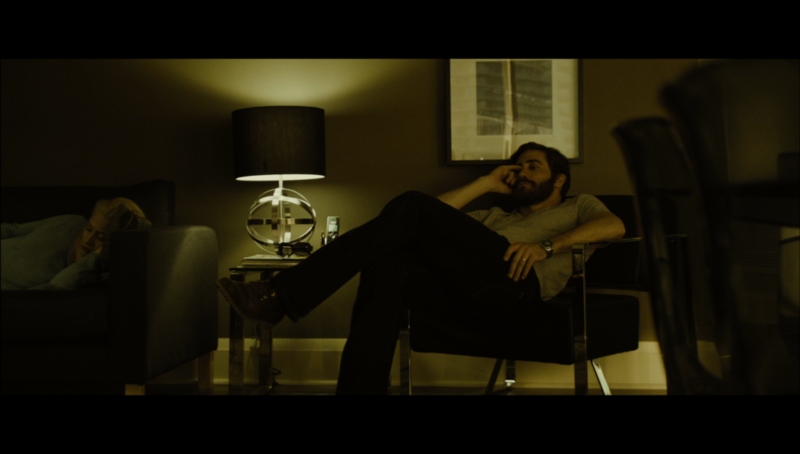 Jake Gyllenhaal played both Adam and Anthony and is masterful in the way he holds a scene while working only with himself. 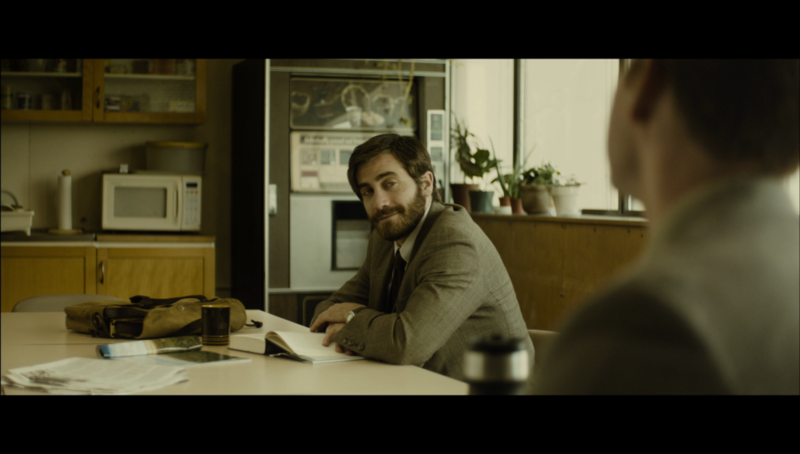 There are not many characters in Enemy, as outside of Adam and Anthony there are just their two significant others, and most of the story takes place from the perspective of Gyllenhaal’s characters. Enemy is a film that will leave you thinking for days, trying to put together all of the clues and make some sense of the ending. The last scene, right down to the closing seconds, is absolutely one of the most terrifying, unexpected things I have seen on film. Then boom; it fades to black and the credits. It leaves you completely shocked, but those who are familiar with Villenueve’s filmography will not be surprised, as the ending is very similar to Prisoners, where you need to draw your own conclusions. It will be interesting to see how Villeneuve continues his filmography, as it can be difficult to continue with the twist endings or open-ended closings, M. Night Shyamalan struggled to get beyond his affinity for the twist ending, and it nearly killed his career, which is just beginning to make a comeback. Hopefully Villeneuve branches out a bit beyond this style, but for now, Enemy has one of my favorite last scenes of any film and it was presented perfectly. Enemy will likely require multiple viewings to make some sense, but everyone involved with the project has been tight lipped about the meaning and theories behind the ending, so there is nothing to work with but your own imagination. There is probably no “official” meaning to Enemy‘s ending, but there are plenty of great theories online. I suggest doing some reading after your first watch, and trying to piece together your own thoughts based on the various theories available online. While Enemy certainly won’t be for everyone, it is a haunting picture which offers endless hours of analysis; a real treat for true lovers of cinema. 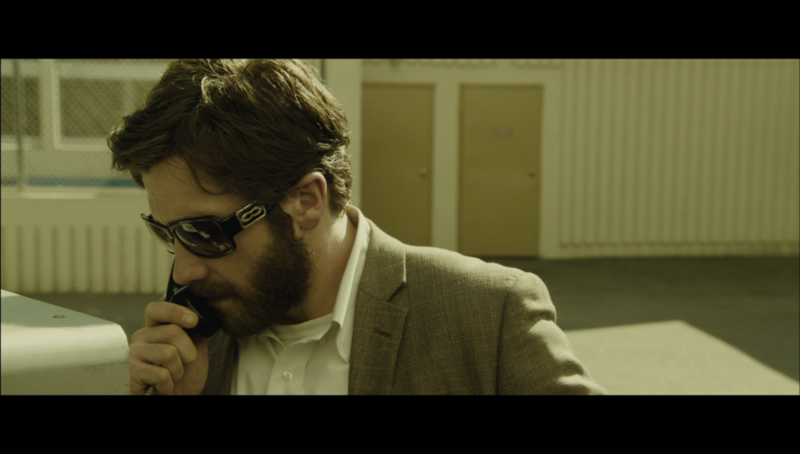 Enemy was shot digitally on Arri Alexa cameras and was finished with a 2K Digital Intermediate. There is a definite modern, digital feel to the film, and there is not much grain; it is a fairly soft image. The majority of the movie is colored with a heavy orange/yellow tint, which is a personal choice by the director and by no means degrades the image. 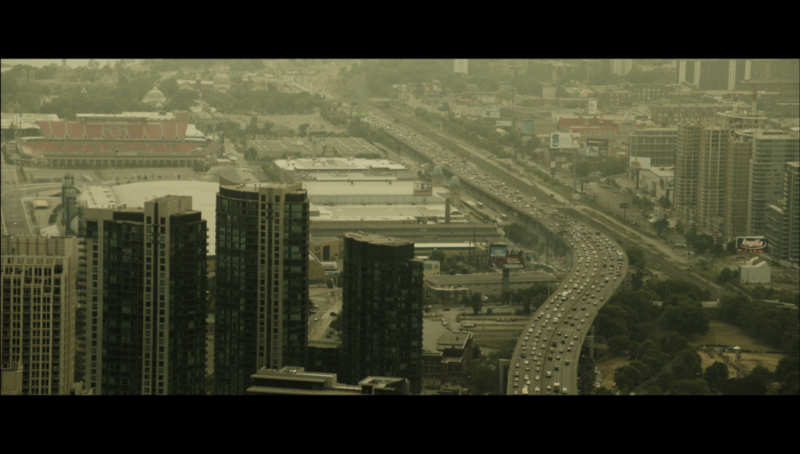 The tint may bother some people, since parts of the movie look like a sepia-toned Instagram image, but I did not mind – I thought it added to the atmosphere. The picture quality is not outstanding, but it is a very clean 1080p image with no noise or artifacts and it is an extremely well-shot film. Enemy features a competent DTS-HD Master Audio 5.1 track, which does its job well. There are not many moments that would require a full surround sound complement in Enemy. The dialogue is clear and there were no volume adjustments that needed to be made throughout the film. I would not recommend this movie for its technical merits, simply because they are not a major player. The real reason to watch Enemy is to experience the story; since it is a dialogue driven film with little to no major action, a simple sound system would probably be sufficient. I would make sure to have a great center speaker, to make sure you hear every line, but other than that, there is not much to be said for the 5.1. The music is creepy and slow, which adds to the film’s theme, but without any major effects, this is a fairly average release from an audio standpoint. 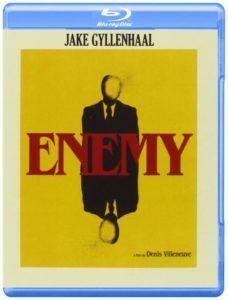 Enemy has some fairly basic packaging, coming to Blu-ray in a one disc eco-case. The Canadian version came with a cool slipcover and cover art on release, but I cannot find a slipcover for the US release. The artwork is very minimalist, but also very cool, so it would have looked great on a steelbook or some sort of special packaging, but c’est la vie. There is no DVD or digital copy included with this release. For special features, there is a single, roughly 18 minute featurette titled “Lucid Dreams: The Making of Enemy“, which talks about the movie but offers no explanation for the film’s events. If anything, it makes it seem as if there is no real “answer” and leaves the film open-ended for analysis. It is worth a watch after your first viewing, but not very interesting after that. 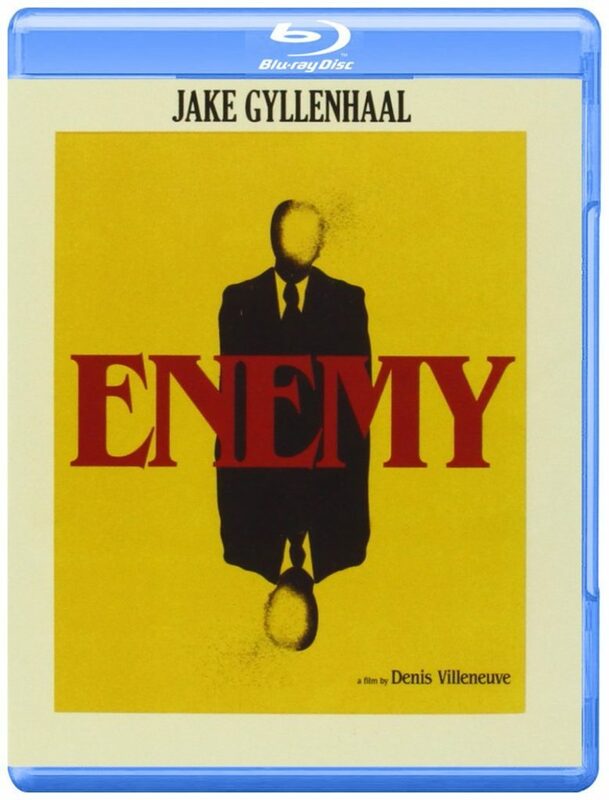 While you probably should not buy Enemy on Blu-ray for the technical presentation, which is fairly standard for a newer Blu-ray release, you definitely should buy it for the content. The film is an excellent entry to Villeneuve’s filmography and is a must-watch for fans of cerebral thrillers. If you enjoy films like Prisoners, Predestination, or the similar film The Double, you will certainly enjoy Enemy very much. While the special features and packaging are bare bones, this release can easily be found for under $10 on most websites, so it is well worth the price of admission. You should be able to find nicer releases from European distributors or from up in Canada, but region coding may be an issue, so do your research first before you buy.